The video also shows the elderly woman violently stomp on the girl's neck repeatedly. She then uses her foot to press her head against the surface. After a while, another woman steps out from the house. However, she doesn't even bother to interfere and goes about doing her task while the girl is being assaulted. The elderly woman, who had stopped, possibly from the exhaustion of beating the girl, is then handed a wooden stick, which she uses to hit the girl repeatedly with. Adelina was an Indonesian maid, who died at the Bukit Mertajam Hospital in Penang on 11 February after being repeatedly abused by her employers. Adelina was rescued from her employer’s home at Taman Kota Permai on 10 February. She had bruises on her face, head and had serious injuries on her arms and legs. She suffered daily abuse and was constantly scolded and beaten up. 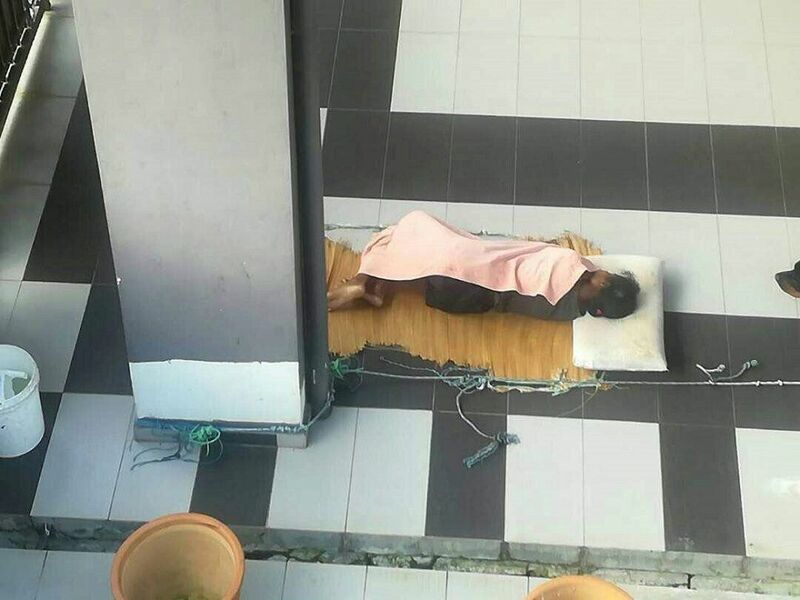 They forced her to sleep on the porch with their dog and would only provide occasional meals. He said that police had studied the viral video and confirmed that it was not filmed at the location where Adelina's alleged abuse took place. "We have also confirmed that the women in the video are not the accused in the (Adelina's) case," Hamid said, according to The Star Online. The Assistant Commissioner also urged people not to spread rumours. "We have no lead on where the video was filmed," he told The Star Online. So far, Evelyn has had 12 surgeries. The family has been struggling with financial uncertainties after one of them was laid off from work.